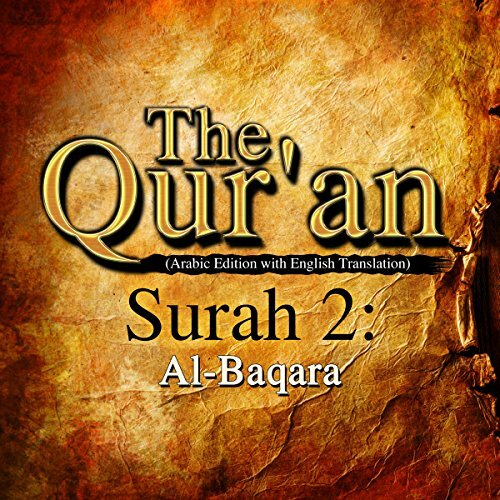 Showing results by narrator "A. Haleem"
Surat al-Baqarah (The Cow) is the second surah of the Qur'an. It addresses a wide variety of topics, including law and the stories of Adam, Abraham and Moses, to name a few. The stories are also said to help listeners to understand the theological conception of truth in Islam. Arabic edition with English translation. Surat al-Fatihah (The Opening) is the first surah of the Qur'an. It is a prayer for the guidance, lordship and mercy of God. Arabic Edition with English Translation. Surat al-Kahf (The Cave) is the 18th surah of the Qur'an. Arabic edition with English translation. Surat Al 'Imran (The House of Joachim) is the third surah of the Qur'an. In Islam, Imran is believed to be the father of Maryam (the mother of Jesus). The chapter is notable for attributing feminine origins to humankind. In addition to this, it states that some Quranic verses are allegorical and some are to be understood by others. It also features a disclaimer against misrepresenting the allegorical verses as factual and asserts that a special set of people, those firmly rooted in knowledge, are to be consulted. Arabic edition with English translation. Surat ar-Rahman (The Compassionate) is a Medinan surah composed of 78 verses. It is the 55th chapter of the Qur'an. Arabic edition with English translation. Surah al-Ma'ida (The Table Spread) is the fifth surah of the Qur'an. It covers animals which are forbidden and Isa's (Jesus') and Musa's (Moses) missions. Arabic edition with English translation. Surat Yunus (Jonah) is the 10th surah of the Qur'an. It is a Meccan surah named after the prophet Jonah. Arabic edition with English translation. Surat al-A'raf (The Heights) is the seventh surah of the Qur'an. It is one of the most detailing chapters about the origins of creation and contains prophecies about the judgment day. Arabic edition with English translation. Surat Al-Tawbah (Repentance, aka The Absolution) is the ninth surah of the Qur'an. It is the only chapter of the Qur'an that does not begin with the basmala and was revealed at the time of the Battle of Tabuk. Surat al-Anfal (Spoils of War) is the eighth surah of the Qur'an. It was completed after the Battle of Badr. Arabic edition with English translation. Surat an-Nisa' (Women) is the fourth surah of the Qur'an. It addresses numerous problems faced by the the early Muslim community and provides a response to the various challenges of the time. It also looks at the role of Jesus as a prophet. Arabic edition with English translation. Surat al-An'am (Cattle) is the sixth surah of the Qur'an. Its focus is on monotheism, resurrection, heaven and hell. Arabic edition with English translation. Surah Ya'-Sin is the 36th chapter of the Qur'an and is composed of 36 verses. Arabic edition with English translation. Al-Mulk (Dominion, aka The Savior) is a Meccan sura composed of 30 verses. It is the 67th chapter of the Qur'an. Arabic edition with English translation. Sūrat al-Jinn (The Jinn) is a Meccan sura composed of 28 verses. It is the 72nd chapter of the Qur'an. Arabic edition with English translation. Surat al-Fath (Victory) is a Medinan sura composed of 29 verses. It is the 48th chapter of the Qur'an. Arabic edition with English translation. Surat Yusuf (Joseph) is the 12th surah of the Qur'an and narrates the story of Yusuf (the biblical Joseph). Arabic edition with English translation. An-Nas (Mankind) is a Meccan sura composed of six verses. It is the 114th chapter of the Qur'an. Arabic edition with English translation. Sūrat an-Naṣr (Help) is a Medinan sura composed of three verses. It is the 110th chapter of the Qur'an. 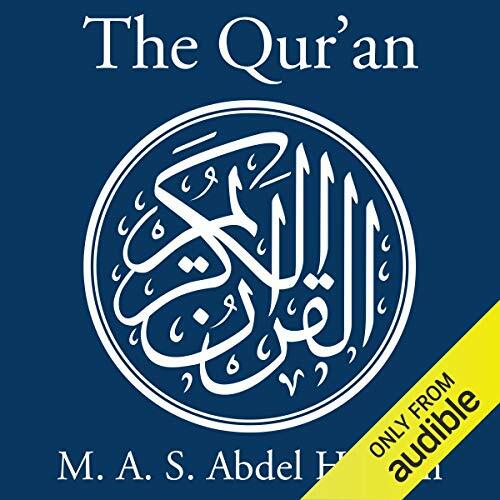 Arabic edition with English translation.